They are best suited for high suction lift up to 8 meters and can also perform suction from long horizontal distances due to their centripetal impellar design. 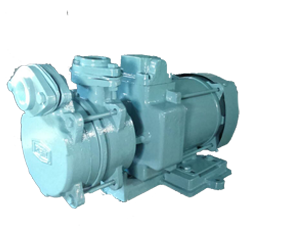 High Discharge pumps are Self priming acting on regenerative principle. The periphery of the impeller has many blades for adding energy to the fluid being pumped. 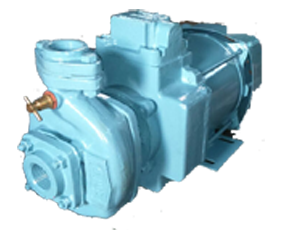 As the fluid flows inlet to outlet the fluid pressure increases progressively ensuring a non-pulsating high discharge & high pressure fluid flow. 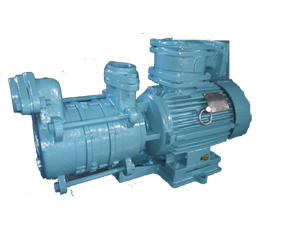 These pumps are designed for continuous operation handling only clear liquid, free from any suspended particles. Stainless Steel Shaft (AISI 410). Close grained cast iron housings. Dynamically balanced rotor & impellers. Capacity - 1 HP & 2 HP. Max. Head - 60 m.
Available in 25 and 38 mm.